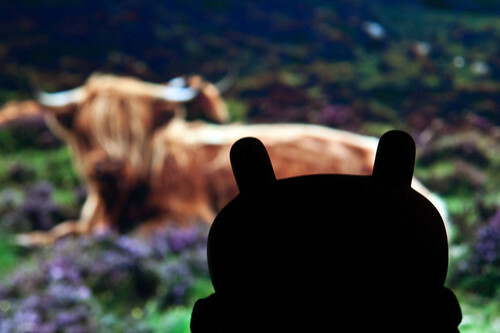 Uglyworld #1542 - Highlanders Cow (Project TW - Image 140-366), a photo by www.bazpics.com on Flickr. Stays perfectlies still everyone, there is a highlanders cow onlies a coupler of meters away from me. I has never seens one so ups closers and personals befores, it is massivers! I just hopers that he realisers that I is a friendlies littler guy as I wouldn't wanters to gets on the wrongs side of those biggers horns!